Fugong: View towards the Burmese border. 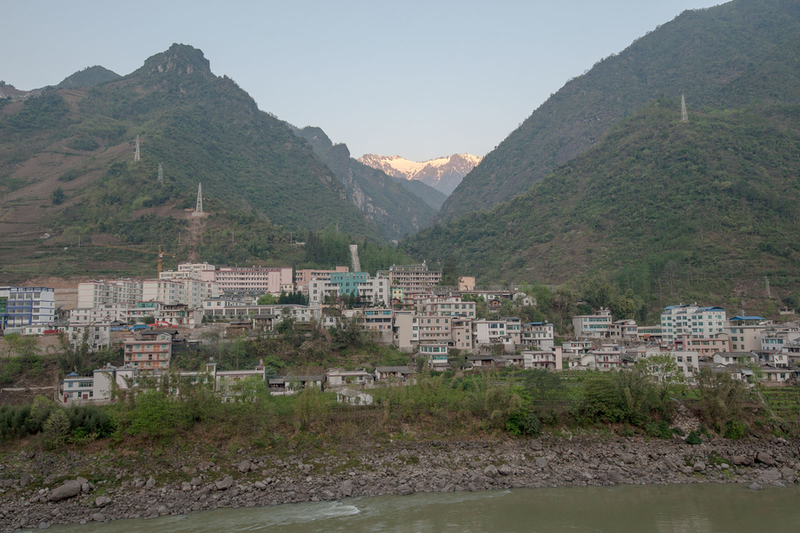 Administering the centre of the upper Nujiang Valley, Fugong County has one of Yunnan’s smallest Han populations, with not many more than a few thousand living in Fugong Town. Lisu make up more than seventy five percent of the ninety thousand strong population, with the rest being Nu. Hemmed in by mountains on either side of the river, Fugong County is laid out along the one and only highway that runs through southern Fugong from Liuku to Gongshan in the north. There are no roads to speak off that reach into the mountains on either side, even though a number of tracks cross the mountains, the most interesting being one that crosses the Gaoligong Mountains to the west into Burma. Large parts of the Lisu population are Christian, surviving remnants of western protestant missionary efforts in the first third of the 20th century. Many churches are dotted around the gorge with pretty active communities. The main road through Fugong is slow, but in good condition and Fugong has a number of reasonable hotels. Accommodation in the townships remains pretty simple.